Having completed a deep dive into average finish times by age for the Boston, New York City and Chicago marathons for a single year, it's time to step back and see how overall average finish times for these races compare between 2000 and 2013. 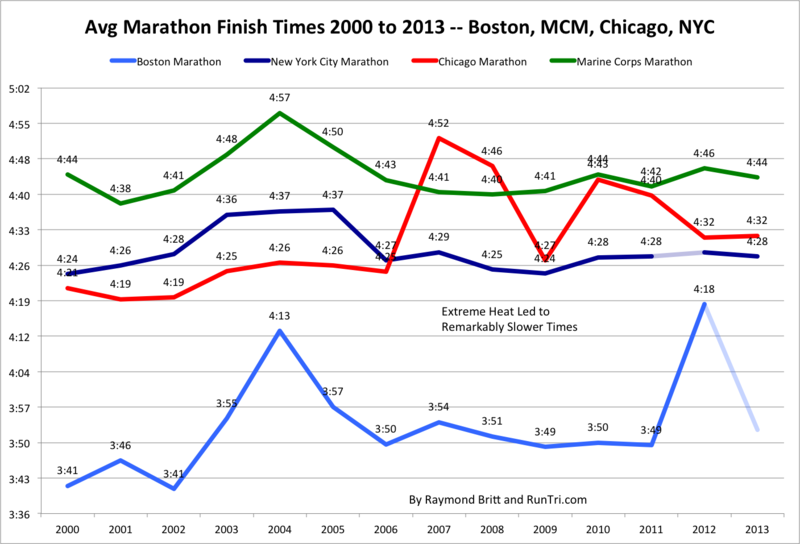 Over the 14-year period, Boston Marathon times have slowed by 10 minutes to the 3:50 range, NYC is steady roughly around 4:27. Chicago seems to be on a slowing trend by as much as 20 minutes; while weather has had an impact in some recent years, conditions in 2011 had a limited impact on the 4:40 average time. 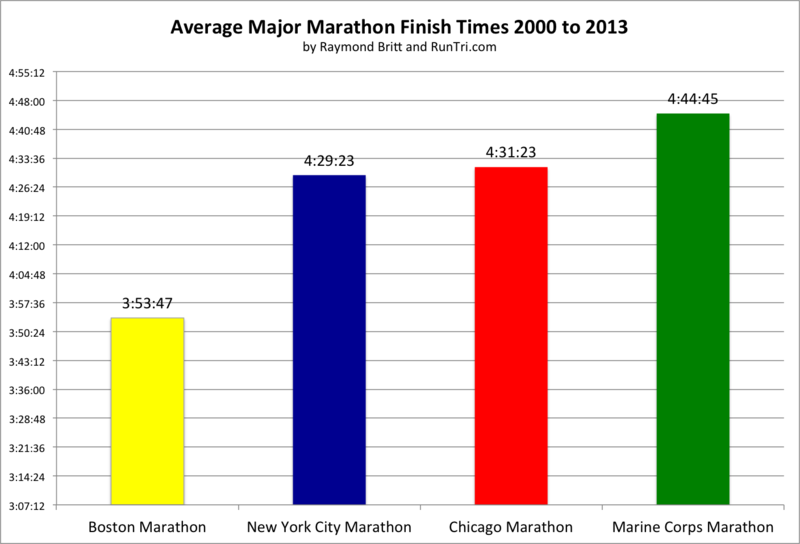 And of course, Hurricane Sandy led to the cancellation of NYC Marathon in 2013, and the Boston Bombing suspended the legendary marathon in 2013. For more, see our complete Boston, New York City, Chicago and Marine Corps Marathon coverage.